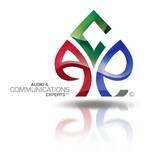 Audio & Communications Experts, Inc. Audio & Communications Experts provides high-quality Home Theater Design, Multi-Room Audio, Outdoor Audio & more in Sarasota and Bradenton area. Since 1998 Audio & Communications Experts has developed an outstanding reputation for quality craftsmanship and unsurpassed service. As we all know selecting the best Audio Video Systems for your home can be a daunting task. At Audio & Communications Experts, Inc. we help you cut through all the technical jargon, and design a solution that matches your unique requirements and lifestyle. At CJS the only thing SHOCKING is our Service! CJS Electric was established in 1989 in the Tampa Florida area by owners Nick Marra and James Gajdosz, who have over 80 years of Electrical Experience between them. Our electricians serve the greater Tampa area proudly with great service and great rates. We handle all jobs: residential or commercial, no matter how big or how small. 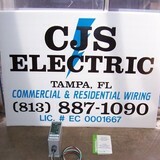 If you are in need of a Tampa electrician, call CJS Electric, where our electricians are highly trained and ready to tackle any electrical issue that you may have. We also offer FREE ESTIMATES for most repairs. Since 1993, Sunbelt Electric, Inc. has been providing the local community with outstanding electrical services in Sarasota and the surrounding areas. Their team of highly-trained electricians can address a range of needs, from lighting installation to electrical panel upgrades to exhaust fan repairs and more. No matter your residential or commercial electrical needs, Sunbelt Electric, Inc. is prepared to get the job done using advanced, state-of-the-art tools and technology. 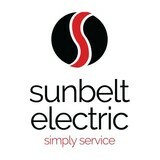 As a locally owned and operated company, Sunbelt Electric, Inc. understands the value of customer service. 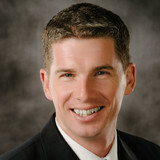 Their team of experts is prepared to answer your questions, address your concerns, and provide open communication. They’ll work with you to design a custom solution to meet your electrical needs. Sunbelt Electric, Inc. even offers a number of high-quality products—including Generac generators, LED motion lights, surge protection systems, and more—to better suit your home or business’s requirements. They offer affordable pricing, free service estimates, and one-year warranties for your peace of mind. Call today to find out how Sunbelt Electric, Inc. can help you! 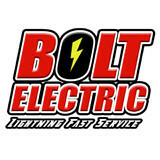 Bolt Electric provides comprehensive, professional electric repair and electric installation services for all your needs, both at home or in your place of business. Our specialties include lighting installation, outlets and switches, generator systems, full-service troubleshooting, appliance hookups, and much more. With more than 20 years of experience, we pride ourselves on prompt, courteous, and affordable services using only the highest-quality workmanship and materials. Our electrical service technicians can provide you with a full consultation to explain all of your available options so that you can choose the system that’s right for your home or business. To learn more about our electrical repair and maintenance services or to discuss our available installation options, contact us today. Services Count on Bolt Electric for prompt, reliable service covering a wide range of residential and commercial needs. No job too small! If there’s something you need but can’t find in our service overview, just give us a call. One of our courteous professionals can create a solution tailored to your individual needs. Everingham Electric, Inc. is a full service Licensed Electrical Contractor in St. Petersburg with over 30 years of combined experience in residential, commercial, and industrial electrical installations. We are invested in providing quality electrical installations with the foresight that your project deserves. Our highly skilled electricians will complete your project to your satisfaction the first time, leaving you with a beautiful installation that you can depend on for years to come. At Everingham Electric, we believe in a quality electrical installation. Whether it's residential electrical construction or remodel, commercial projects, or industrial control work, we have the expertise to ensure that your electrical project is completed according to current electrical codes. We take pride in our work, and we care about the finished product. We live and work in St. Petersburg and we believe in building lasting relationships with our customers. Since 1996, Mister Sparky has been exceeding customers expectations and surpassing the competition. We stand behind our “We’re On Time You’ll See, Or The Repair Is Free!” motto. The Mister Sparky name has become synonymous with professionalism and expert workmanship in the United States. It is frustrating when your electrical system isn’t working properly, and that is why we endeavor to provide you with prompt, high quality service solutions. Our team of licensed electricians can perform regular maintenance and repair on your electrical system as well as take care of your new electrical installations. Our team of licensed electricians can perform regular maintenance and repair on your electrical system as well as take care of your new electrical installations. KW Morrow Electric is a family owned, full service Tampa Electrician and Licensed Florida Master Electrical Contractor offering the homeowners and businesses of the Tampa Bay Metro Area fair pricing and unparalleled electrician service for more than 30 years. Our highly trained staff provides electrical service that people can trust and rely on. Our Commitment to quality is reflected in every project big or small. Our customers say; they have chosen the Best in the Tampa Bay Area. We are dedicated to keeping our electricians trained in all aspects of the rapidly changing electrical industry to ensure we can help Tampa Bay Area residents with any electrical issue they may experience, and get the job done right the first time at a competitive price. Michael Robbins is an experienced commercial and residential electrician who provides dependable and trustworthy services to home and business owners of Tampa, FL. He is currently working in commercial electrical services at Alliance Power Solutions, Inc. while studying to become a Journeyman Electrician at Independent Electrical Contractors. Full Service Electrical Contractor Based in New Port Richey, FL. Servicing all of the Tampa Bay Area. Above Electric is a full service licensed and insured residential and commercial electrical contractor dedicated to providing outstanding service and cost effective solutions to our customers in the Tampa Bay Area. As a service driven company we are committed to exceeding standards in our work. Ace Electric has been in business since 1993 performing service work and remodels from North Port to Palmetto. We are certified to work in every municipality of Florida. License and insurance will be provided upon request. Our objective is to continue to provide excellent electrical work, to both residential and commercial clients performing both remodels and service work, by responding promptly to calls, providing accurate and reasonable estimates and employing honest and knowledgeable electricians. Verga Electric Inc. is a family owned business that has served the Tampa Bay area for over 30 years. We take pride in quality work and service. Omni Controls was established in August 1986 in Tampa, Florida is the best distributor for the high quality of test and measurement equipment supplies temperature and humidity equipment, analytical equipment, Dataloggers, and Recorders etc. of reputed brand Megger, Extech, AEMC, Fluke, Bacharach, Dwyer, DeFelsko and much more. Talk with our expert now toll-free at 1800-783-6664. What do licensed Saint Petersburg electricians do? An electrical contractor plans, installs and repairs wiring in structures. He or she works closely with the home’s general contractor or remodeling contractor to determine the specific electrical needs for the project and to ensure that the wiring will meet Saint Petersburg, FL building codes. An electrical contractor’s job also includes installing and repairing fixtures, switches and other visible components of electrical systems. With today’s technological needs and advances, many electricians in Saint Petersburg, FL also are trained to install fiber optic and coaxial cables for electronic equipment. Certain electrical companies may design and install data systems and wire for security features such as alarms too. Some Saint Petersburg electrical contractors specialize in specific areas, such as HVAC, low-voltage appliances and systems and more, so be sure to ask about their training to see if it fits your project needs. Find a certified Saint Petersburg electrician on Houzz. Narrow your search in the Professionals section of the website to Saint Petersburg, FL electrical contractors. Here are some related professionals and vendors to complement the work of electricians: Lighting Showrooms & Sales, General Contractors, Solar Energy Contractors, Heating & Cooling Sales & Repair.